If you know me in person you’ll know that I’m an avid bather – Joe tells me off for having too many baths, oops. But yes, I love all kinds of bath products, from bath bombs to oils to bath salts. 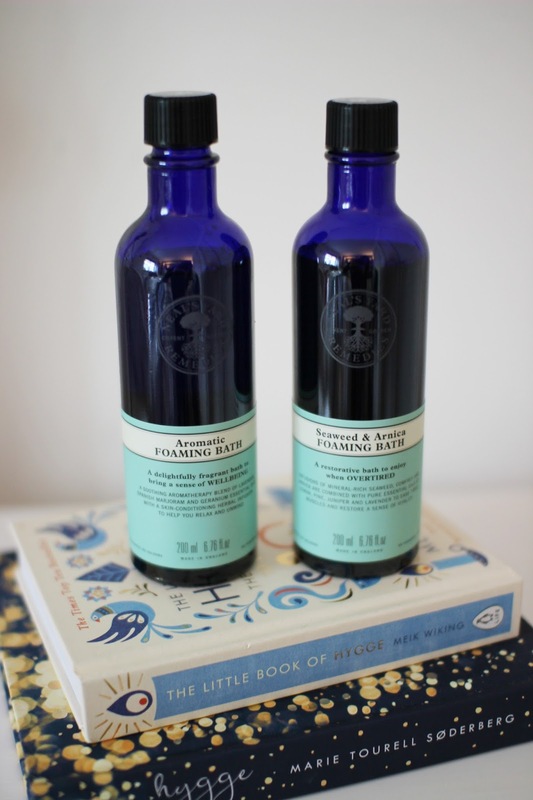 In the January sales I treated myself to two of the foaming bath oils from Neals Yard. I picked up the Aromatic Foaming Bath and the Seaweed & Arnica Foaming Bath. They both smell incredible and I’ve actually used up the Seaweed & Arnica one already, sob!Aromatic Foaming Bath – “A delightfully fragrant bath to bring a sense of wellbeing”. A soothing aromatheraphy blend of lavender, spanish marjoram and geranium essential oils with a skin conditioning herbal infusion to help you relax and unwind. Hmmm, yes please! This actually smells incredible, it has that ‘spa like’ scent, so so lovely. I can definitely smell the lavender and geranium. I love using this after a long hard day of work. Seaweed & Arnica Foaming Bath – “A restorative bath to enjoy when overtired”. Infusions of mineral-rich seaweed, comfrey and arnica are combined with pure essential oils of lemon, pine, juniper and lavender to ease tired muscles and restore a sense of vitality. Out of the two, this one is my favourite and I’m really sad that I’ve already used it all up! Likewise to the Aromatic it smells amazing – it’s quite unusual with the seaweed scent, but it just smells heavenly. With all this talk of baths, i’m going to run myself one now! Mhmm, can’t wait to use the Aromatic one and feel zen for an hour our two. Ciao. 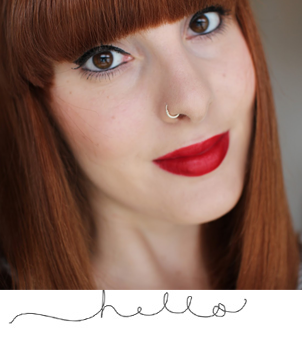 Previous Post Choosing Your Wedding Lipstick!